Collect them all! More than a dozen butterflies, made of maple veneer, color washed, block printed, hand painted and individually hand cut, wth polymer clay bodies and accurate colors. 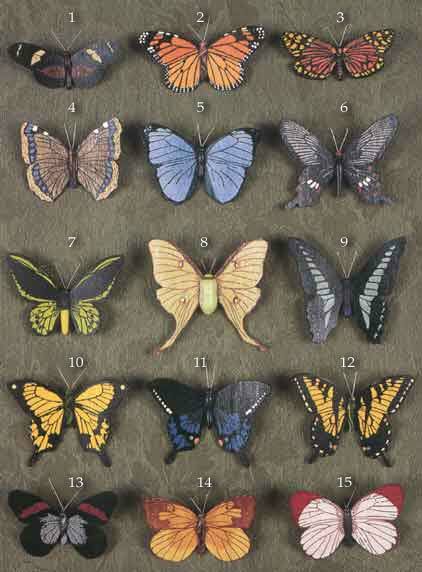 Our Lepidoptera Collection features brooch-style pin backs and an average wing span of 3 inches. Click any thumbnail view to see an enlarged photo and to read more about the insect, its classification and habitat. lick the BUY NOW button shop at our secure server using your MasterCard or VISA card.